John Collins is lifelong resident of New Jersey and a long-standing member of the Catskill Fly Tyers Guild. He got into fishing at the early age of five and like most fished for what ever and using any method. He calls many of the rivers in NJ, NY and PA home, most notable are the South Branch of the Raritian, The Little Bushkill, and Beaverkill. He started his fly tying adventures under the mentorship of George Kolesar who was a commercial tier for several shops in the Catskill region. After mastering the traditional Catskill style, John started to incorporate modern methods, materials and took creative liberty in combining materials to create his best know patterns. Some of these patterns are the J.C.'s Iso PT, Electric Style Sparkle Pupa, J.C.'s Electric Steelhead Stonefly, JC's Copperhead and arguably most well know pattern his Electric Caddis. 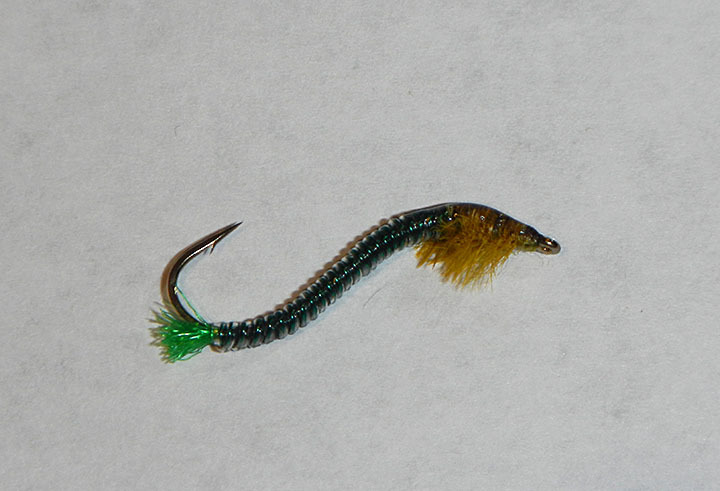 I hope you enjoy John’s latest creation the Swimming Rhyacophila, filmed at the 2012 International Fly Tying Symposium. Tubing rapped over a base of tying thread.